Current page:Growing and Training With Love! 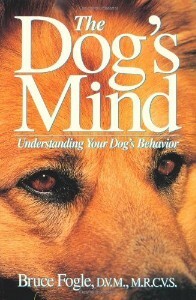 This month’s Good Read: The Dog’s Mind – Understanding Your Dog’s Behavior by Bruce Fogle, D.V.M., M.R.C.V.S. This book is a slow read, since it has so much interesting information which is explained and backed up by research. Also, because the information is a little heavy or technical, while at once extremely interesting – you will want to think about the information rather than skim through it. You will probably go back to sections periodically, even when you have finished reading the book. In August we talked a little about choosing the right breed for your life style and likes, or choosing a “mutt” who will, likewise, fit into your family like a hand in a glove. After choosing your new puppy/dog, you want to infuse all the love you can into growing, training, and adjusting to the family as a full fledged happy member. Your dog will surely thank you for it, as they love you unconditionally. First of all, when you get your new puppy/dog home, plan to visit your vet as soon as possible. This is such an important step, whether you are adopting or taking in a puppy or an older dog. You and your new dog need to establish a growing and knowing relationship with your vet, one based in mutual and comforting trust. Your vet will be your dog’s and your best friend! Your vet can discuss and help you with information about vaccines, what’s needed and what’s not needed; parasites and treatment; feeding schedules and dog foods; training and socialization; crating; puppy/doggie proofing your home; grooming; microchips; any common breed specific ailments; and so much more. Any question you may have to make your dog’s welcome into your home the best it can be, your vet can help you with. This is also a good opportunity to find out about items, plants, foods, which may be toxic to your newest family member, for example, no chocolate, no grapes, etc. Your vet will be able to advise you as to what vaccinations are needed and on what schedule they should be given. Dogs, like people, react differently to shots and checkups and your vet will know the best way to handle your dog’s first visit, and his/her vaccination schedule. The first visit will also help to establish an ease and comfort with future visits. Our dogs Guinness and Jameson love to go to the vet since they get treats just to get on the scale. Geez, how much easier and more fun can it be! Many dogs need to be treated and checked annually for worms and other parasites. Your vet can also recommend medications for fleas, ticks, and heartworm. Parvovirus can be fatal and your dog should be treated in accordance with your vet’s recommendation. All of this sounds so complicated and scary, but that’s why a relationship with your vet is so very important both for your puppy’s/dog’s health and happiness, and for your peace of mind and happiness. Your new dog/puppy will be anxious to explore and will find all kinds of things of interest, or things with which to occupy themselves if you are not paying attention – to play with, to chew, and to eat! When we first got Guinness and Jameson, we were in the yard with them, not wanting to leave them by themselves in a new, big yard with lots to explore and get into – like a pond! Before we knew what happened, Guinness started to stagger and became very listless. We didn’t actually see him eat anything or do anything to cause this, but we knew something was suddenly very wrong. We took both dogs to the vet, where we had just been a week or so before for our initial visit. The vet did an x-ray. There was a definite blockage in the digestive system. The vet did a few other tests, questioned us as to what he could have possibly swallowed. We brought them home with instructions to watch both of them closely, and to return the next morning. He improved as the day went on and next morning he was fine. Apparently, he had swallowed a small pear that had fallen from our pear tree. It initially had blocked his digestive tract but then it had digested! He was back to running and exploring with Jameson. This time it was nothing toxic, fortunately, but for a puppy, a digestive problem, nonetheless, and a real scare for us, especially since we thought we were watching! Since he was a puppy, and since I did not actually see him eat the pear, even though I was outside with him, I had no idea what it was until after seeing the vet to make sure it wasn’t a different, more serious problem. Because we had already been to the vet, our vet knew Guinness and Jameson, and Guinness and Jameson knew our vet, making a very scary experience one that we all were able to get through a little better because we knew we were in good hands. Visiting your vet is the foundation for a good future. When your puppy/dog gets to know your vet, learning friendship and trust, it makes every vet visit to follow an easier, happier experience for you and for your puppy/dog, and a happier healthier dog for loving! When traveling with your dog, be sure to inquire about a trusted local vet, just in case! Happy Doggy Thanksgiving, and remember that some table foods may be great for you, but not for your dog and his/her digestive health. Careful about what you feed your dog from your table, and how much, and you’ll all have a much happier holiday!